The New Jersey Department of Health and Rutgers University have unveiled a $5 million dollar grant program to improve access to healthcare for its 400,000 veterans. Many veterans struggle to access health services once they return from military service for a variety of reasons. A recent study by the Department of Veterans Affairs estimated that, nationally, more than 300,000 veterans may have died while waiting to enroll for healthcare. 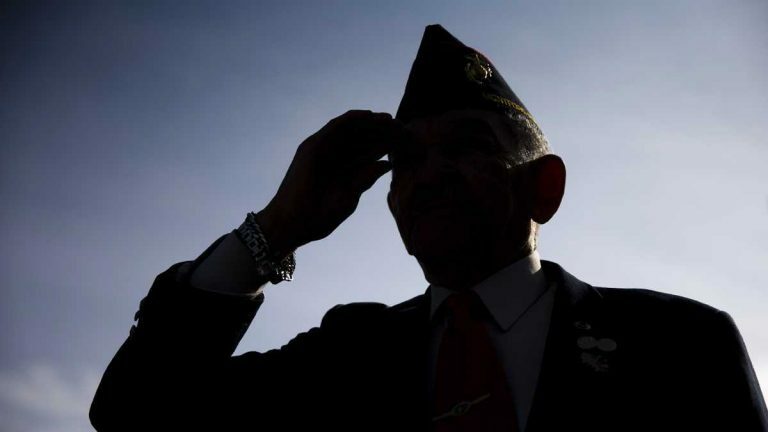 Some have trouble applying for or securing veterans benefits even though they qualify. Often, vets required to make separate arrangements for physicians and psychologists, a process that can delay treatment for months, even though it is common to suffer from both physical and emotional wounds related to combat. The causes of the delays are often bureaucratic. Sgt. Terrell McCain returned from the Iraq war with an injured back and the psychological trauma many veterans deal with as they return from war. Despite his service, McCain still had to wade through a lengthy application process just to get a doctor’s appointment. If it sounds complicated, it is. Today, McCain is works as a “peer counselor” for the Rutgers University Behavioral Health Care National Call Center, where he helps fellow veterans get appointments with care providers faster and more often than they might on their own. “Once you call the line or walk-in, you’ll be talking to a care coordinator and they’ll be working with you to get an appointment right then and there,” he said. Retired Gen. Mark Graham, who directs the call center, said the six month pilot program focuses on an “integrated care” approach that takes both physical and mental injuries into account. McCain said 20 veterans had received assistance in the first week since the call center opened.